In the early 1900s, the Michelin tire company, in an effort to encourage more automobile travel and therefore sell more tires, introduced the Michelin guide. Today, under the cloak of anonymity, the Michelin inspectors visit restaurants and hotels and award stars based on their findings. The Michelin stars have been the most sought after restaurant award for over a century. Advertising a prestigious Michelin star brings in more customers. So what does this have to do with volunteerism, you ask. 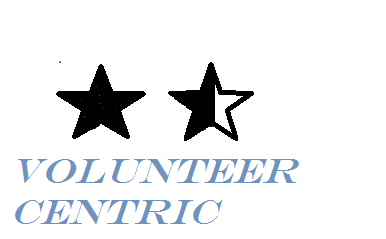 Well, why can’t we create a star rating system for volunteer organizations? This idea occurs to me every time I go to a volunteer seminar or symposium where I attend presentations by organizations discussing their volunteer concepts. I look around and see other volunteer managers. Where are all the CEO’s and administrators? Is volunteerism left to only the volunteer managers or is it deeply integrated into organizational culture? And then I begin to wonder, what are the ways the presenters measure their successes? Is it the same way I measure mine? Can I relate to how their volunteer program works? And beyond that, what about their general volunteer retention rate? Or volunteer satisfaction, or use of volunteers in key roles for that matter? Do the presenters have just one program that is successful, or are they doing other amazing work? Can I learn from not only their successes, but their failures as well? Or am I looking at volunteer apples when I work with volunteer oranges? It gets me to thinking, if a restaurant claims to serve the best burger in the world, do I take their word for it? No, because I’m skeptical, so I look to Yelp or TripAdvisor or local ratings systems to help substantiate their claim. Which brings me to this thought: Would it be helpful to have some sort of volunteer award system for organizations to not only help them integrate volunteerism into their culture, but to also help organizations understand the needs of the volunteer services departments? If so, I think an independent reviewing body that could look dispassionately at volunteer programs and create a reward system might just be helpful. There are many models, but the one I’m thinking of is the four star award system for Veteran programs in hospices. “We Honor Veterans” is a program started by the National Hospice and Palliative Care Organization that encourages hospices to become veteran centric by earning star ratings (four is the highest). I participated in my organization’s path to achieving four stars and it was an arduous but worthwhile journey of proving several key components. We submitted our checklists and supporting evidence to achieve each level and it forced us to examine and change our culture and behavior towards end of life care for veterans. Hospices who earn stars are allowed to include the stars in any promotional or marketing tools so that they can advertize that they are a veteran centric organization. There are many experts in our field who would be excellent at setting up the achievable stars for volunteer organizations based on select criteria implemented. Here is a cursory list of possible criteria off the top of my head: I’m certain that others could improve on this greatly. An organization would apply to earn stars and would be directed to submit documentation that supports key points achieved. 1. Documented specified training for new volunteers. 3. Documented volunteer satisfaction (vs. retention) efforts, including exit interviews. 5. Documented volunteer bill of rights. 6. Documented HR functions, i.e. files, background screenings, etc. 1. Documented continuing specific education for volunteers that are on par with staff education. 2. Documented job descriptions for volunteers that are distributed to the volunteers. 3. Documented continuing communication for volunteers e.g. social media, newsletters, meetings, etc that is on par with staff communication. 4. Documented policies and procedures for volunteers e.g. termination policy, workman’s comp policy, absence policy. 5. Documented support in management education for designated volunteer manager that is on par with other managers. 6. Documented volunteer grievance policy. 1. Documented volunteers serving on boards and attending planning meetings. 2. Documented continuing education of staff on working beside volunteers. 3. Documented increases in volunteers’ roles and duties. 4. Documented volunteer satisfaction rate increasing due to planned efforts. 5. Documented volunteer manager as member of senior management and a member of the planning team. 6. Documented attendance by senior administration at one volunteer specific symposium per year. 7. Documented community involvement in volunteer specific partnerships, such as DOVIA (Directors of Volunteers in Agencies) RSVP or other. 8. Documented use of volunteers in promotional materials, talking points, etc. 9. Documented understanding and management of varied volunteer types, i.e. episodic, student, intern, etc. 10. Documented involvement in researching volunteer trends, issues, directions. One of the purposes, if not the main purpose of the “We Honor Veterans” awarding of stars is to change the culture of hospices in regards to the unique needs of veterans at end of life. I saw this firsthand while going through the process. I think that we might be able to change the culture of our respective organizations in regards to how they view volunteers and just as importantly, volunteer managers. A volunteer centric star earned may just introduce a new way of thinking to the very organizations that currently keep volunteerism in a nice box. I fantasize about the day I see a charity’s brochure adorned with stars declaring the agency “Three Star Volunteer Centric” because using volunteers is one thing; integrating volunteers into the agency’s culture is another. And integrating volunteers is what we are all working towards. Hi, I am ashamed to admit, I had no idea that Points of Light had such a program and I’ve been a volunteer manager for 20 years. I will definitely look into the service enterprise initiative and thank you for the link! There is more! See this UK-based model: http://iiv.investinginvolunteers.org.uk/about. But you are so right Meridian – we need to talk more about the whole organisation. When quality accreditation is applied in so many other fields what is stopping us from doing this for volunteering? Maybe that is the question. Thanks Sue, this is awesome! Thank goodness volunteer managers are willing to share with each other on social media!